You are engaged and planning the perfect wedding reception. You are looking for a band to provide a night of fun and dancing for you and your guests. Here are ten questions to ask that will help you find just the right band. 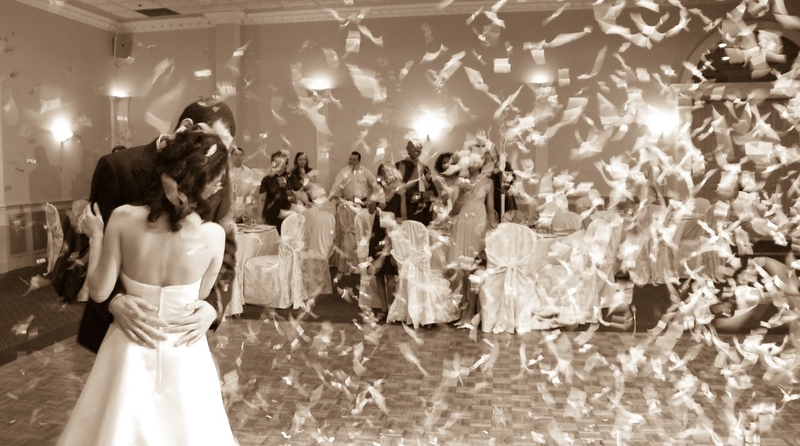 Can you do special requests for first dance and other special moments? Can you provide music for the ceremony? Can you provide music for cocktail hour/dinner? Can you provide microphones for ceremony and/or speeches? Can you provide emcee services? How often will the band take a break; how long; will you provide music during breaks? Make sure all of these questions are addressed in the contract along with such information as load in time, start/stop times, who is providing PA system (venue or band) and any other instructions that have been agreed upon. Working all of these questions out with your wedding band well in advance will ensure that you and the band are on the same page and will give you peace of mind on your big day.